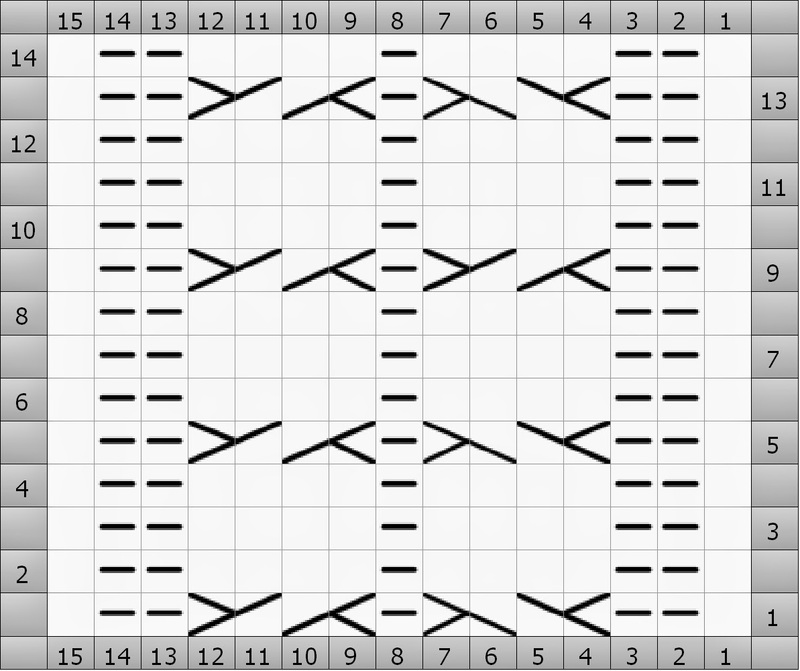 Begin by identifying which stitches need to be corrected and what row you are currently on in the chart. Since the first chart was finished you should have just finished Row 14, slip stitches from the left needle to the right needle until stitch 4 is between the needles, then drop stitches 4, 5, 6, 7 off the needles. The first row that you remove will be the WS row 14 and I find it helpful to say either WS or RS as I pull out each row, pull out 6 rows of stitches. Place stitches 4, 5, 6, 7, from Row 8 back on the needle (remember right leg front) ready to rework the miss-crossed cable on Row 9 correctly. Using the bottom-most ladder of yarn just like when fixing a single dropped stitch work across the 4 stitches in the correct 2/2 Left Cross. 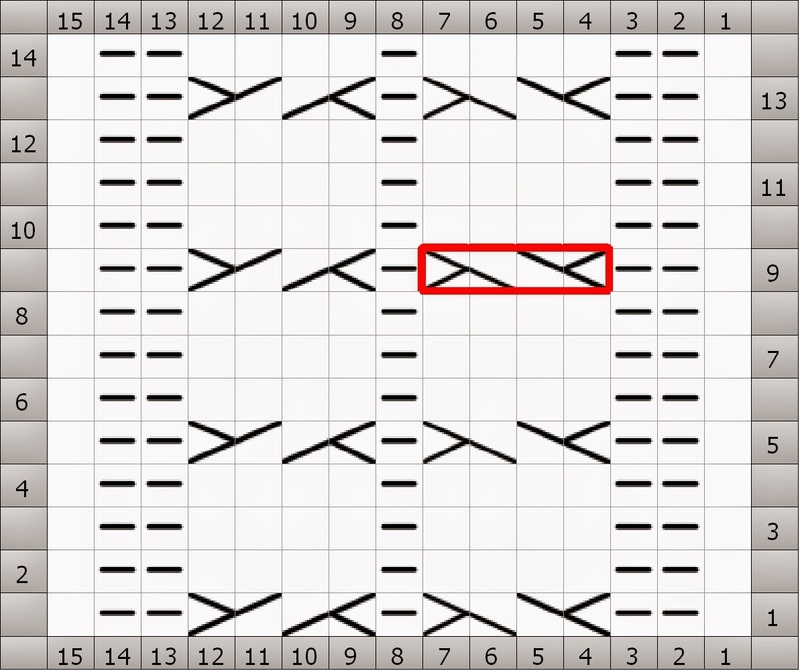 For the next row which is a WS row 10, turn the work around and p across the 4 sts using the next bottom-most ladder. In this manner continue working the rows following the chart and using the lowest rung of unpicked yarn. Sometimes when reworking a section of stitches the tension can be off on one side or the other. This can be avoided by working every row as a RS row and passing the stitches back to the left needle after every row. This action will help to even the tension across the stitches and make the reworked area blend into the knitting as if it was never a mistake.